Safe and Robust Charging Station for any CCS compatible Bus. A step ahead on the sustainability path. 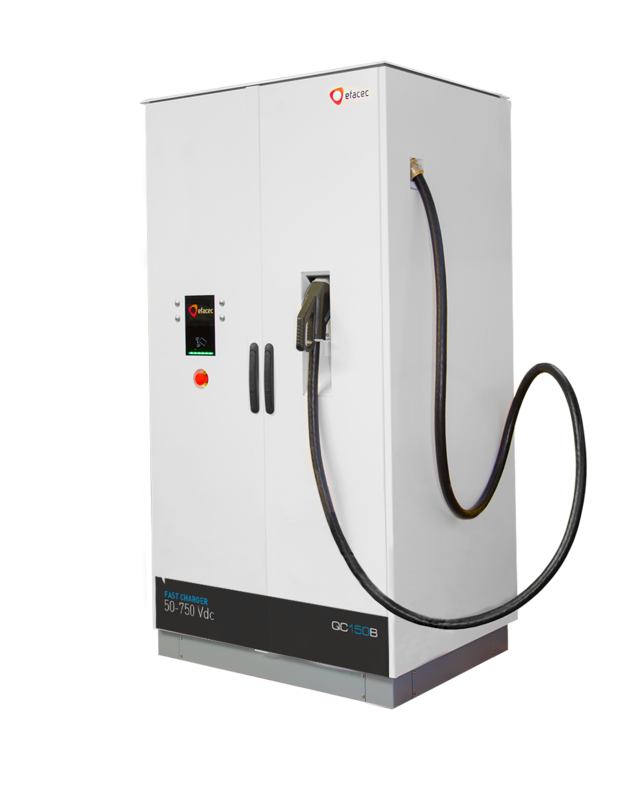 The QCBus range is a user-friendly and safe process to charge any CCS Compatible Bus with power levels ranging from 40 to 150 kW. The QCBus is a flexible and open charging station, able to charge in a standalone mode or integrated in any network, with any central system. Different Power Levels Available (45, 90 and 150 kW). The QCBus has a DC output up to 750 V and different available current levels up to 200 A. The battery charging status is displayed in a TFT color screen. The QCBus has high quality and robust enclosure to ensure extended equipment lifetime, making it ideal for a wide range of installations, both indoors and outdoors. It’s also possible to personalize it with custom graphics, logos and colors to have the overall look of your brand.